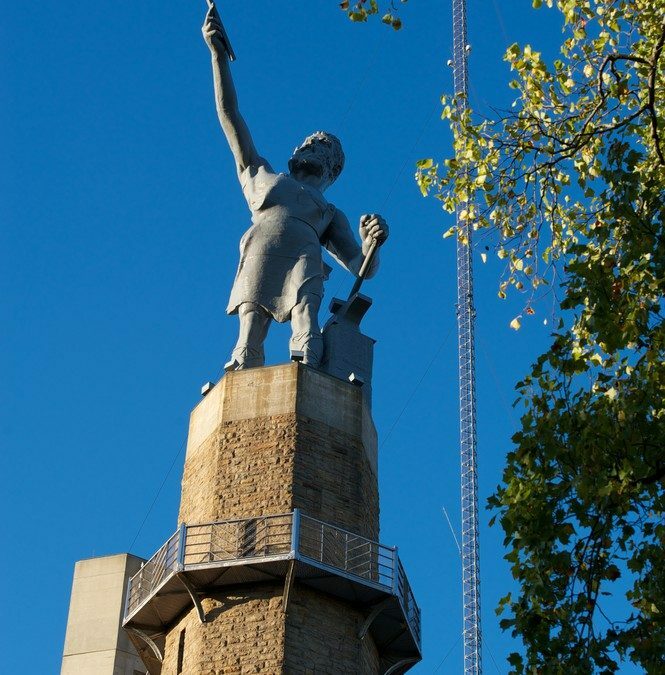 In this neighborhood lives one of Birmingham’s most famous inhabitants — Vulcan. Perched above the city looking down, Vulcan has been here over a hundred years and is a sight you won’t want to miss if you or your guest(s) haven’t seen him. Though Vulcan and his bare rear-end may be the star of the show, the museum and surrounding park also offer a fair amount of entertainment. We recommend taking a picnic to the park and enjoying the museum to make a full day of this fun Birmingham attraction. Located in Mountain Brook Village, the Birmingham Zoo and the Botanical Gardens are neighbors, making it easy to tackle both in a single day (or multiple if you have the time or desire). Around 950 animals of 230 species have made their home at the Birmingham Zoo. From rhinos to sea lions, the Birmingham Zoo has it all. Alongside their animals, they also offer a children’s park with water attractions and a playground. They even have wildlife shows where you can see animals up close and personal under the supervision of a trainer. Venturing away from fauna and into the realm of flora is the Botanical Gardens. Trees and flowers come together to create a plant wonderland. Though this place is gorgeous on its own and provides many walking trails, if you want to just walk around, we also recommend playing a fun game of hide and go seek. You’ll have a great time either finding a place to hide or finding your friends as you walk around this beautiful location and take in nature. If you didn’t get your fill of nature at the Botanical Gardens, want more, or just prefer a different location, Moss Rock Preserve or Aldridge Gardens in Hoover are both fun and nature-based Birmingham things to do. After opening in 2002, Aldridge Gardens has quickly become a popular destination for those wanting to go and enjoy Alabama wildlife. Moss Rock is similar in that it offers beautiful nature sites, but it’s also a rather famous place to go and rock climb. So, whether you want to enjoy the trails of Aldridge Gardens or the rocks at Moss Rock, one of these destinations is sure to catch your fancy. Downtown Birmingham offers a plethora of things to do, but we’ll focus in on some of the best so you’ll know where you should go first. The Civil Rights Institute is definitely a museum you need to check out. For those of you who are familiar with Birmingham’s history, this is obviously a no-brainer. If you’re in the dark about how Birmingham is tied to Civil Rights, that’s even more of a reason for you to go and take a walk through this place of history. Changing the subject (literally), there is the McWane Science Center. Much more fun than it sounds, this is a place that won’t disappoint. From sea creatures to fun science experiments, this attraction is hands down one of the most interactive things to do in the city. And hey, you may even learn something while you’re busy having fun. Sloss Furnaces is the last place we highly recommend you go. This venue and museum is supposedly haunted, so taking a tour there will not only give you a bit of the furnace’s fascinating history, but it’ll also leave you shaking from some of their ghost stories.